At Live & Smile Dental & Orthodontics, Dr. Zoe Huang, Dr. Zoryana Brodsky, Dr. Mandy Leung, Dr. Stephan Yoon, Dr. Filippo Cangini, and our team make you our top priority. We’re passionate about oral health and helping our patients reach the highest levels. We’re equally as passionate about minimally invasive dentistry and dental education: we want you to understand why it’s important to keep your mouth healthy, and we give you the ability to do it at home. We will care for you the same way we’d care for a member of our family: gently, with respect and compassion, and attentive to your individual needs and concerns. We understand that your oral health goals are as unique as you. That’s why we’ll work with you to find the right solutions for your situation. Our commitment to delivering patient and customer care means we want to exceed your expectations in every way. That starts with your first phone call, when we answer your questions and schedule your complimentary consultation at a time that works with your busy schedule. It continues when you arrive for your visit: you’re warmly greeted, by name, and invited to make yourself comfortable in our welcoming reception area. You won’t be waiting long, because we respect and value your time. We strive always to run on time and refuse to over-schedule, so we have plenty of time to devote to you. You will never feel rushed during your visits. Our clinic area is equipped with state-of-the-art technology, and we use leading-edge treatments. This means your diagnosis will be accurate and your treatment will be painless, efficient, and give you the strongest results. Beyond the dental and orthodontic care we offer is the personal attention we deliver. We want to get to know you as an individual. We’d like to learn about your life and interests. We’d love to develop a long-term relationship with you — one that goes beyond healthcare provider and patient. We understand that some people worry when they think about seeing a dentist. We’d like to help you work through those fears. By offering gentle dental care, we can help ensure you won’t feel a bit of discomfort. More than that though, we’d like to assist you in overcoming your worries and help you learn that a visit to our office is nothing to fret about. 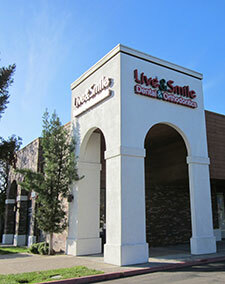 We offer complimentary consultations at our Dublin, CA dental and orthodontic office. Please call to schedule one today. Dr. Zoe and everyone here look forward to welcoming you to our practice, and helping you develop and keep a healthy and amazing smile!